I visited Erbie and saw the historical farmstead for the second time. 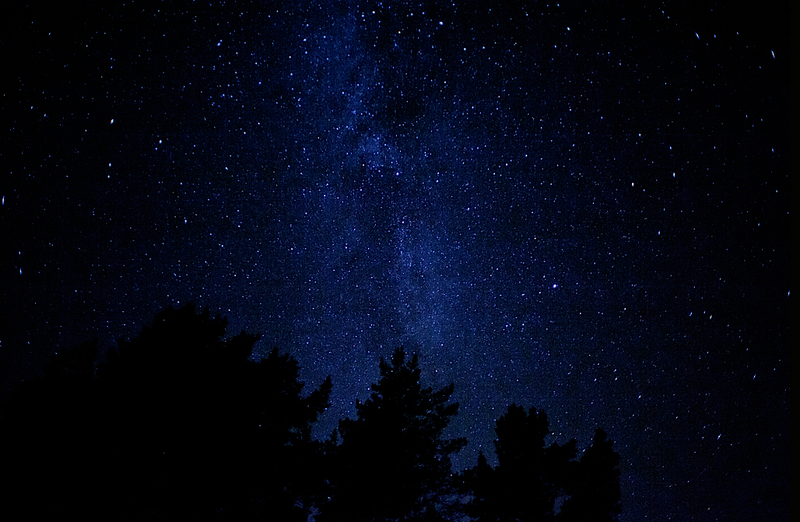 I went last October also; the trip was nice; only about 20 miles north and it was 60 degrees pleasant. The Buffalo was running high so there was not a way to cross the river; so the drive out was the same as the drive in. 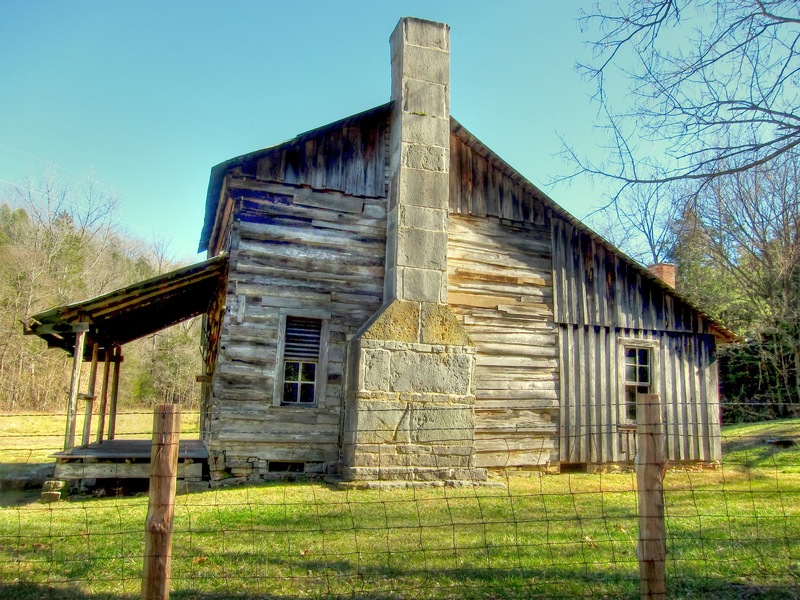 The Parker-Hickman Farm includes the oldest standing log structure in Buffalo National River. 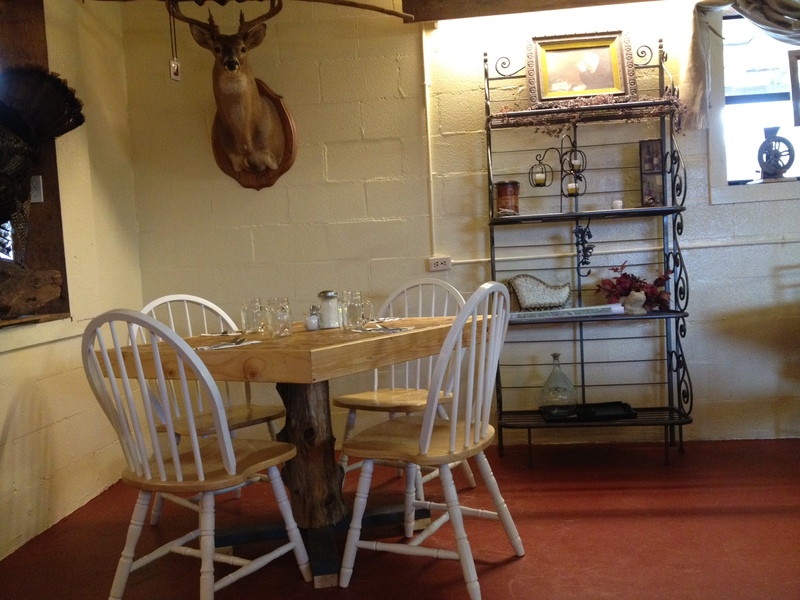 The farm was homesteaded in the 1840’s by settlers from Tennessee. It embodies an agricultural landscape with farmstead, extant fields (bench and bottomland), fencerows, roads, cattle gates, garden and orchard plots, wooded slopes and springs. Unlike most farms in the Ozarks the landscape is remarkably intact and provides insights and evidence spanning portions of two centuries of Ozark history; not randomly chosen, it conveys a feeling of enclosure and exemplifies adaptive use of topography. Among farms of its kind in Missouri and Arkansas it was once typical but now survives as a rare baseline example for Ozark yeomanry farms of mixed economies.Parker-Hickman was an agricultural enterprise that continuously operated until 1982 from a farmstead which exemplifies the entire period, and a rare one for the Ozarks since it survives. Clustered around the farmstead are several structures: barns, sheds smokehouse, privy, fences, stock feeders and house that represent a cross-section of rural vernacular architecture still in their original location. Although other farms in the Ozark-Ouachita region had similar origins, with settlement patterns that evolved from subsistence to commercial agriculture, the Parker-Hickman farm is important because it survived intact. 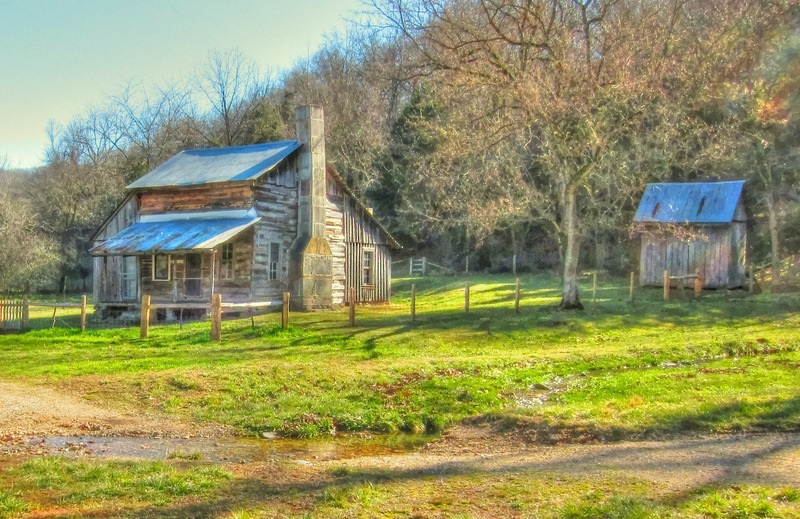 Until purchased by the National Park Service the Parker-Hickman farm continued uninterrupted as an agricultural enterprise for more than one hundred forty-five years, a rare intact survival of a typical southern upland farm in the Ozark-Ouachita region. 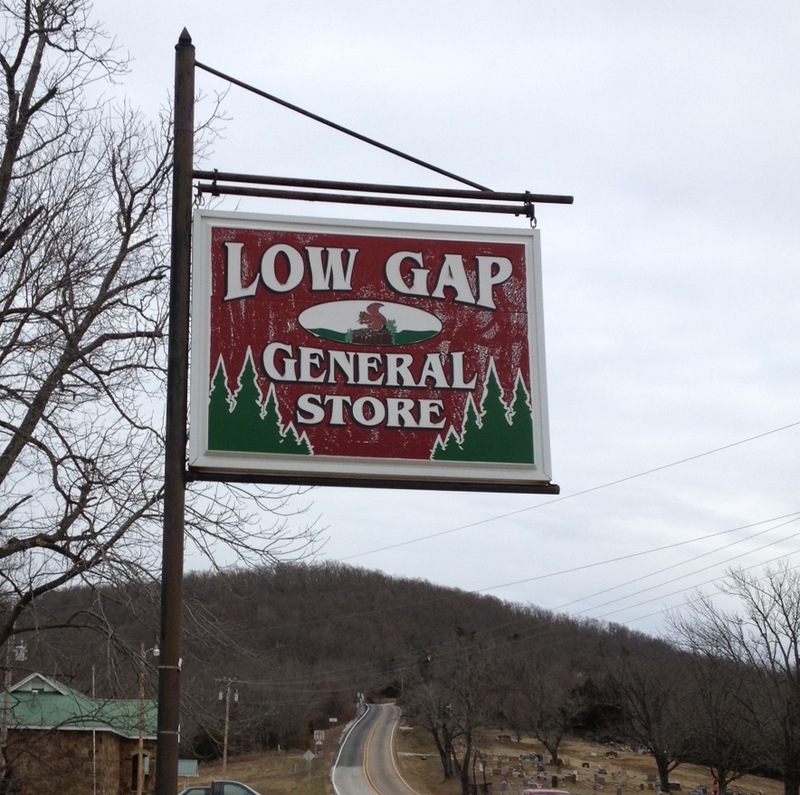 At 4 PM on Friday January 27, we made a dinner visit to the Low Gap Cafe in Low Gap, AR. located on Highway 74 between Ponca and Jasper. Low Gap is a low area between Kilgore Mountain and Shiloh Mountain, not far from the Buffalo River. 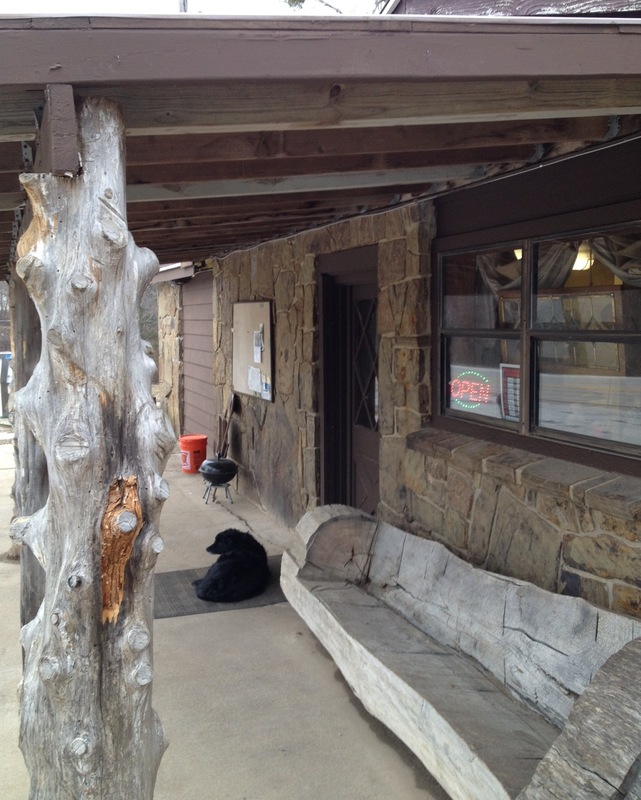 The cafe is in the Low Gap General Store and is next an old WPA project stone building built in the 1930’s, which I remember from a trip down to Ponca in 1963. The scenery is gorgeous surrounding the village of Low Gap. In those days the road all the way from Compton to Jasper was gravel with at least 50-100 switchbacks; now it’s paved and, for the most part improved and straightened. 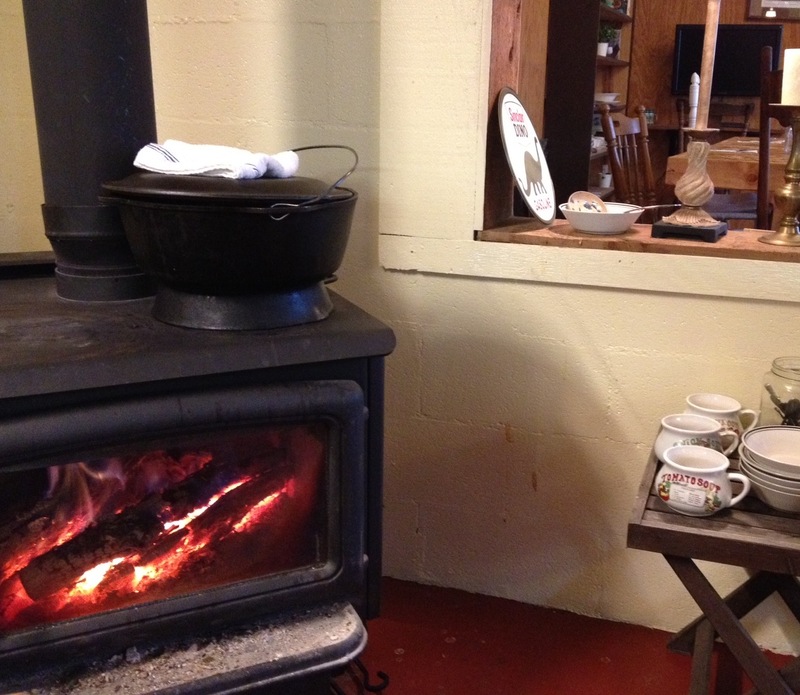 We were greeted by the owners cordially at the door and went inside to a warm fire in a stove with a pot of the “soup of the day; home made tomato-basil” on top cooking. We took the table next to the fire on a chilly January evening. 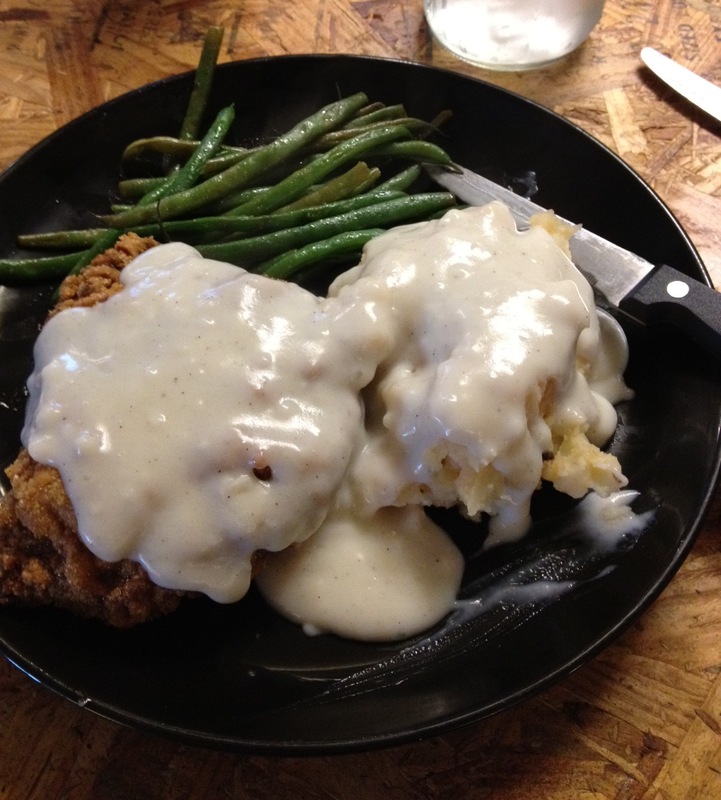 We had a chicken fried steak and a red wine seared pork tenderloin with homemade mashed potatoes and homemade gravy and very nicely sautéed green beans; this was preceeded by a nicely prepared spring greens salad with sweet tomatoes and a nice dressing. For desert we split a piece of triple chocolate cake. Everything was prepared and served with care and the experience was fantastic, especially since we were on the edge of wilderness ! 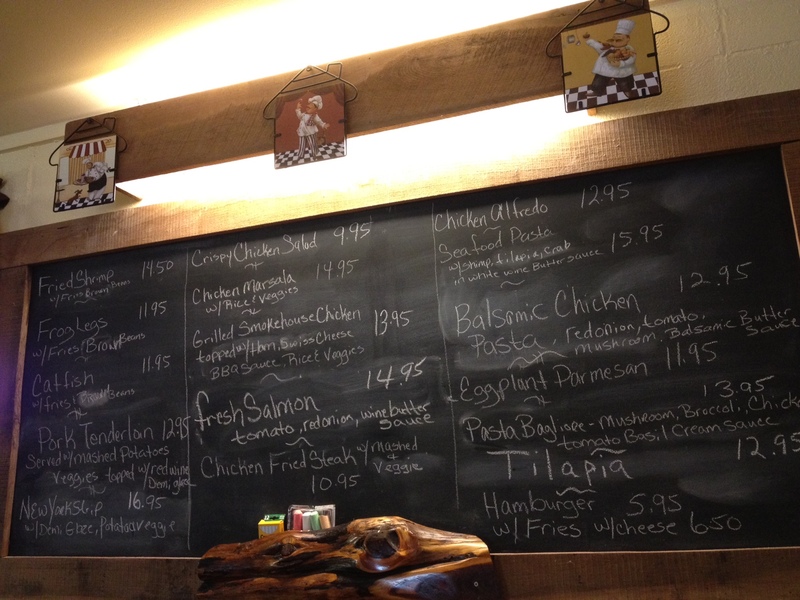 The Low Gap Cafe is most highly recommended ! and remember Newton is a dry county. Everyone should give them a try; you won’t be disappointed !!!! Took a picture of him last weekend, fairly common here from February to April as they slowly move north. 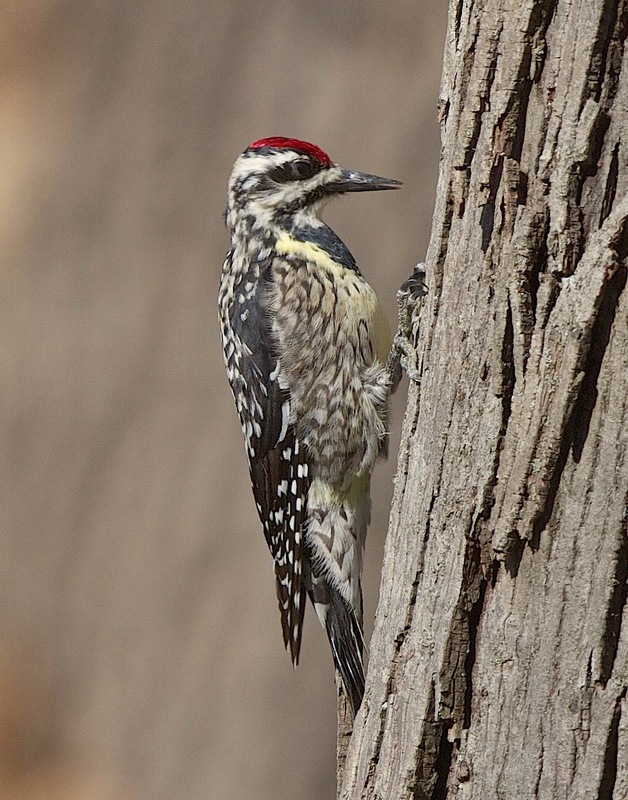 Although most non-birders believe that the Yellow-bellied Sapsucker is a fictitious bird created just for the humorous name, in fact it is a widespread species of small woodpecker. Its habit of making shallow holes in trees to get sap is exploited by other bird species, and the sapsucker can be considered a “keystone” species, one whose existence is vital for the maintenance of a community. Throat and crown completely red. Juvenile similar to adult, but head markings obscured because of paleness, with black replaced with brownish. Where the Yellow-bellied Sapsucker’s range meets that of the Red-naped Sapsucker in Alberta, the two closely related forms hybridize. The Red-naped Sapsucker formerly was considered just a race of the Yellow-bellied Sapsucker. It is a welcome sign of spring and they will become more predominate as we get into February. Common in yellow and red-orange and red at times. A welcome sign in the Boston Mountains. The witch-hazels are deciduous shrubs or (rarely) small trees growing to 3–8 metres (9.8–26 ft) tall, rarely to 12 metres (39 ft) tall. 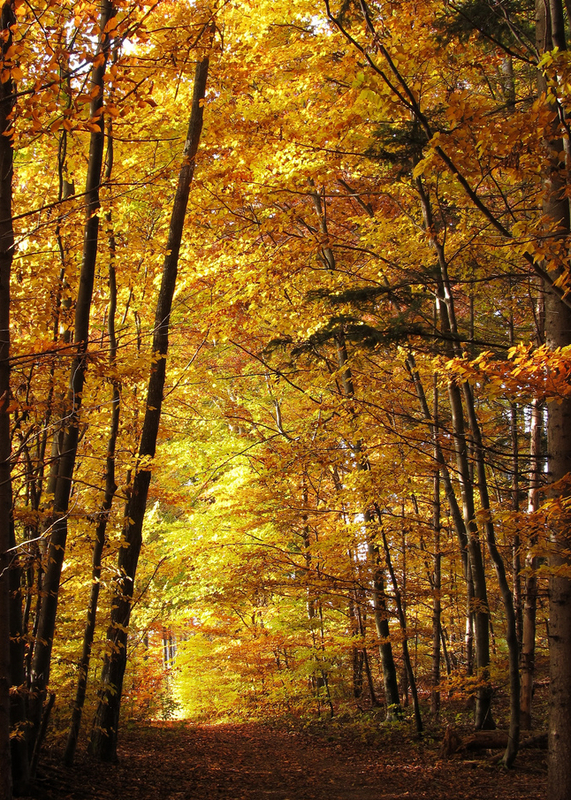 Theleaves are alternately arranged, oval, 4–16 centimetres (1.6–6.3 in) long and 3–11 centimetres (1.2–4.3 in) broad, with a smooth or wavy margin. The horticultural name means “together with fruit”; its fruit, flowers, and next year’s leaf buds all appear on the branch simultaneously, a rarity among trees. H. virginiana flowers in the fall of the year. The flowers of the other species are produced on the leafless stems in winter. Each flower has four slender strap-shaped petals 1–2 centimetres (0.39–0.79 in) long, pale to dark yellow, orange, or red. The fruit is a two-part capsule 1 centimetre (0.39 in) long, containing a single 5 millimetres (0.20 in) glossy black seed in each of the two parts; the capsule splits explosively at maturity in the autumn about 8 months after flowering, ejecting the seeds with sufficient force to fly for distances of up to 10 metres (33 ft), thus another alternative name “Snapping Hazel”. 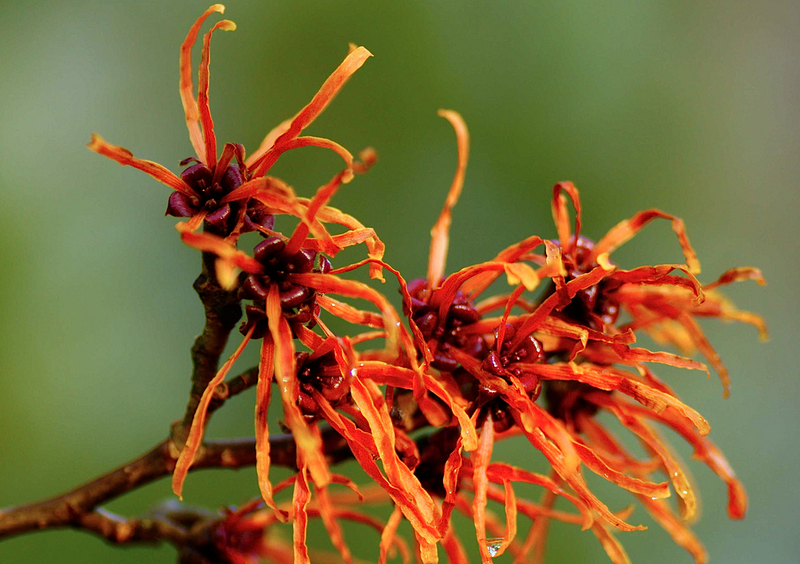 Native Americans produced witch hazel extract by boiling the stems of the shrub and condensing the steam to produce a distillate. They used the distillate to treat sore muscles, cuts, insect bites, and other inflammations and tumors. Early Puritan settlers in New England adopted this remedy from the natives, and its use became widely established in the United States. They are very common in northwest Arkansas. 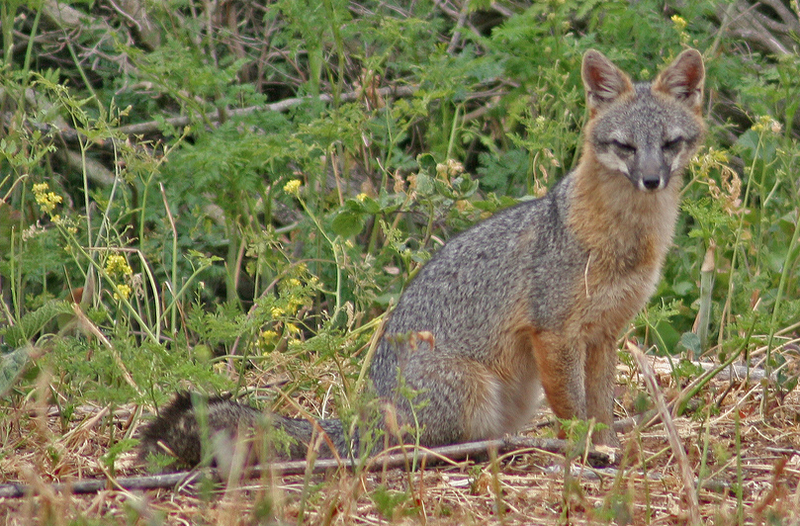 Description A gray fox with a black-tipped tail. 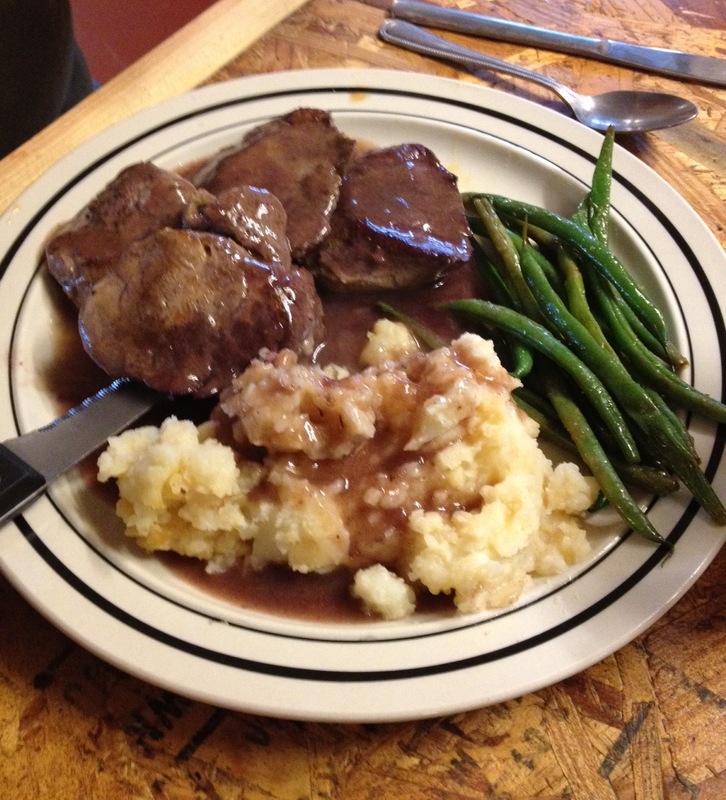 Back is grizzled gray; sides are cinnamon-colored; belly is tan. A dark stripe runs down center of back and onto black-tipped tail. Family units consist of breeding pair and their offspring. Breeding Breeding season is January-March, and typically 4 pups are born about 2 months later. Pups begin foraging at about 4 months, and some may disperse as early as 7 months of age. Discussion Often climbs trees, a trait facilitated by forelegs that rotate more than those of other canids. Dens are located in dense clumps of brush, abandoned buildings, rock outcroppings, hollow logs, or burrows. Active mostly at dawn and dusk, and seldom seen in daylight when they rest in dense vegetation. May range across 5km_ when foraging. Our most omnivorous canid, eats fruit and prey the size of rabbits or smaller. Uses hardwood forests and brushy riparian habitats.